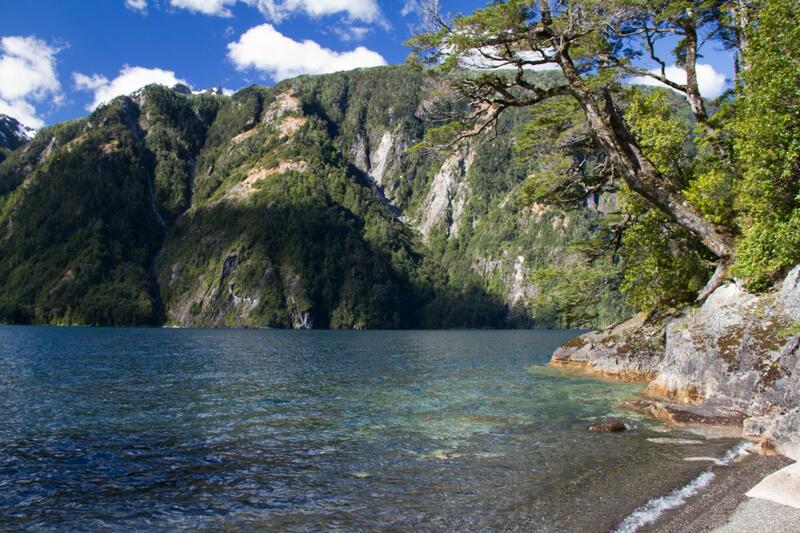 The road to San Martín winds through forests, crosses rivers and streams, and follows along the edge of several lakes (such as Nahuel Huapi, Correntoso, Espejo, Escondido, Villarino, Falkner, and Machónico). On the shores are amazing beaches and various scenic lookouts from which to admire magnificent views. We will drive around Lake Lacar to San Martín de los Andes for lunch and to visit the town. We will take the traditional route along the unpaved Paso Córdoba road, where the scenery will be different from the first part of the trip. After passing Lake Meliquina, the forest gives way to rock formations which are as strange as they are beautiful. Both of these routes meet up at Confluencia Traful, where the magical landscape includes curious rock formations in the Enchanted Valley and the amazing Amphitheater. We will follow the road alongside the river to its source in Lake Nahuel Huapi and then all the way back to Bariloche, where our tour will end.